The focus of the 11th Day of Informatics, organized by the Austrian Computer Science Association (ÖCG) was on innovative and practical approaches to computer science didactics. The event was moderated by professor Renate Motschnig, University of Vienna, and professor Gerald Futschek, TU Wien. More on 11. Informatiktag in German here. 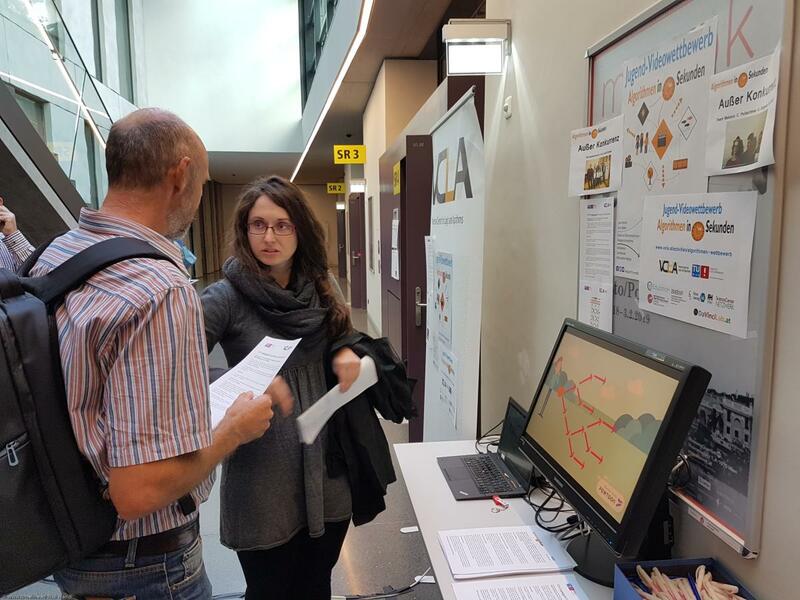 Nearly 150 interested teachers could through exciting workshops, lectures and tours of the participating exhibitors discover the world of computer science at the 11th Informatics Day, organized by the Austrian Computer Society (ÖCG). The Informatics Day (Informatiktag) is an annual event of the Austrian Computer Society (Österreichische Computer Gesellschaft (ÖCG)). 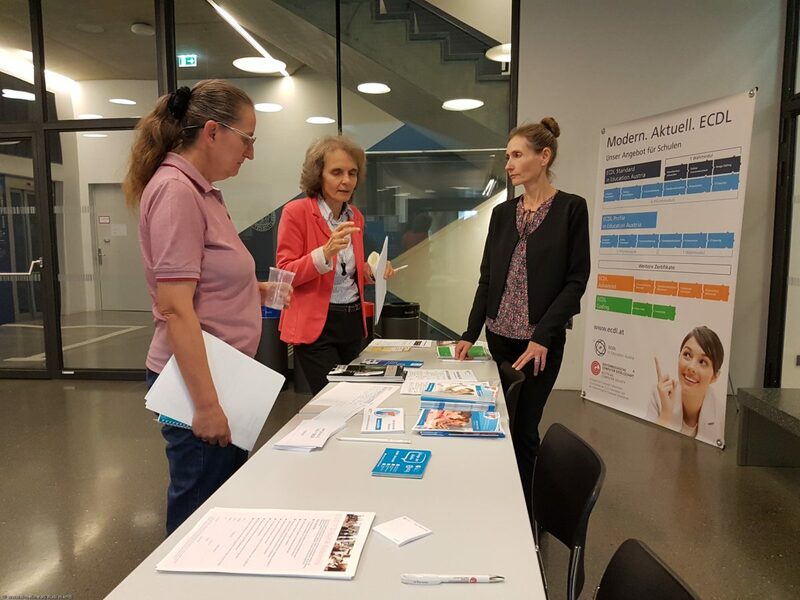 The host role changes annually between the Technical University of Vienna and the University of Vienna, which in 2018 had been the venue of the 11th Informatics Day. The participating teachers have been welcomed, in addition to the deanery team from the Faculty of Computer Science of the University of Vienna, by the moderators Professor Renate Motschnig, University of Vienna and Professor Gerald Futschek, Vienna University of Technology. Already during the welcome, which took place at the Faculty of Computer Science of the University of Vienna, the mood was marked by the enthusiasm of the teachers from NMS / AHS / HTL / HAK / HUM in the fields of Computer Science, Applied Computer Science and Information Management or Media Informatics and Teachers from Elementary Schools. 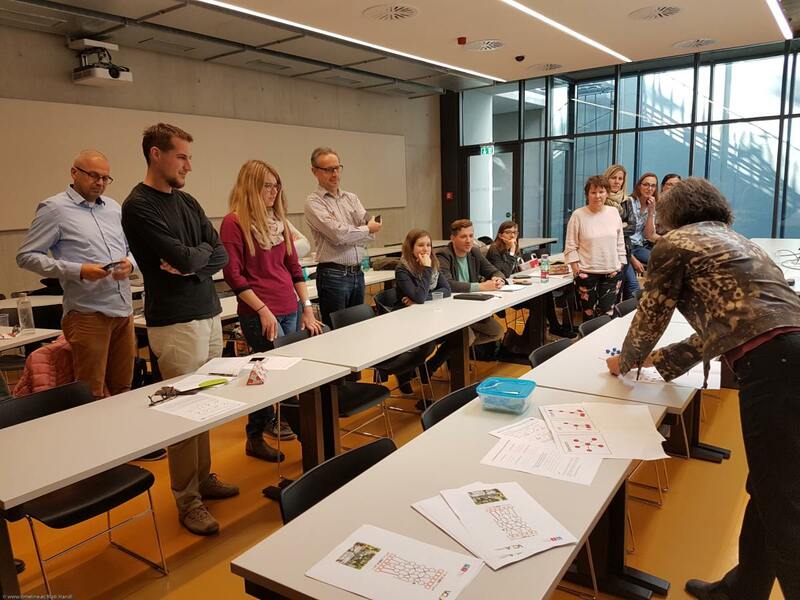 The lectures of professionals continued to address the gap between the timely research results from the broad field of computer science and fostering of digitization skills already in elementary education as envisaged in the Austrian national strategy called Schule 4.0. The teaching-oriented workshops covered topics such as: tools for gamification in the classroom, calliope and microbits in the classroom, legobots, gender-appropriate teaching, 3D printing, or computer science lessons for the youngest, where no computer is needed – CS Unplugged. The computer science didacticist and professor of software engineering Gerald Futschek was delighted to see increased interest in the 11. Informatics Day among elementary school teachers, not least due to the extension of compulsory basic education courses to the entire NMS and AHS lower grades. 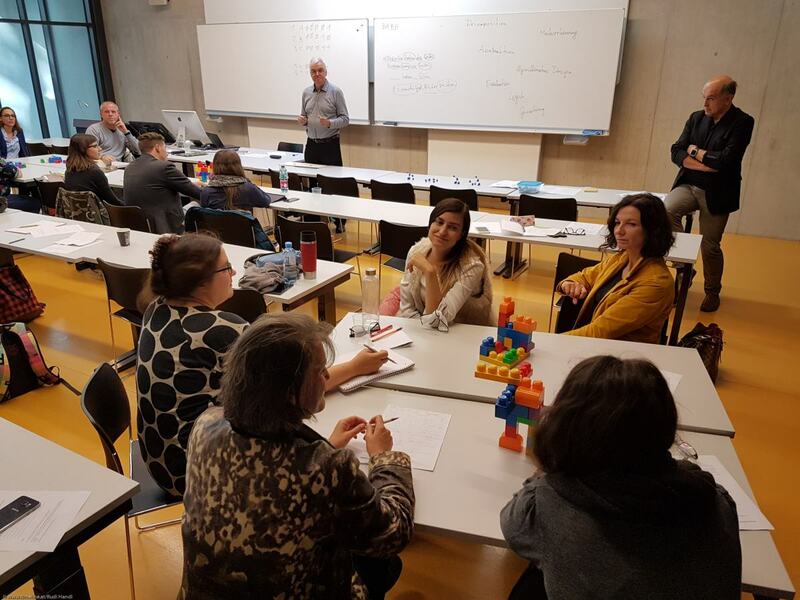 Together with Johann Stockinger (Austrian Computer Society), Futschek led the workshop on CS unplugged: “Computer Science Unplugged is a great way to communicate informatics concepts and ways of thinking without a computer but playfully and sustainably. And that can start at an early age – computer science can be fun, “says Gerald Futschek. CS Unplugged is a collection of free learning activities that teach computer science through games and puzzles that use cards, strings, crayons, and lots of walking around. The collection is now often used for teaching in schools. An example of CS Unplugged exercise suitable for a classroom is the sorting network, which materials have been made available by professor Stefan Szeider. Re-use the example and the handout for the download here. In the breaks, the teachers had the opportunity to get to know the results of the youth video competition “Algorithms in 60 Seconds”. The innovative nature of the competition, to treat the subject of algorithms in a short video, is “the way computer science should be taught,” says Uwe Egly (Faculty of Computer Science, Vienna University of Technology). The task of the competition motivated almost 300 students from all over Austria to transform their everyday experiences into algorithms and thus come closer to computational thinking. The 20 finalist videos show students transforming knowledge from their favorite subject, whether mathematics, languages, chemistry or dance, into an algorithmic sequence. Thus, the participants could acquire the knowledge from the computer science curriculum and acquired self-confidence in the use of various digital tools for visualization. The elements of competition that extend beyond the boundaries of mathematics or computer science education, are the basic principles of computational thinking, the media literacy, and can be re-used everywhere where teachers try to engage students with today’s widespread playful formats. The competition was organized for students between the ages of 7 and 18 by VCLA, led by professors Agata Ciabattoni and Stefan Szeider. The video competition is supported by eEducation Austria, Federal Ministry of Education, Science and Research, Science Center Network and Future Learning Lab (ZLI). The sponsors of the competition were Österreichische Computer Gesellschaft and Da Vinci Lab. The finalist videos can be found here. The photo rights remain with ÖCG. More photos here. Explanatory videos as didactic resources for the basic digital education? This were results of the youth video competition “Algorithms in 60 Seconds”. 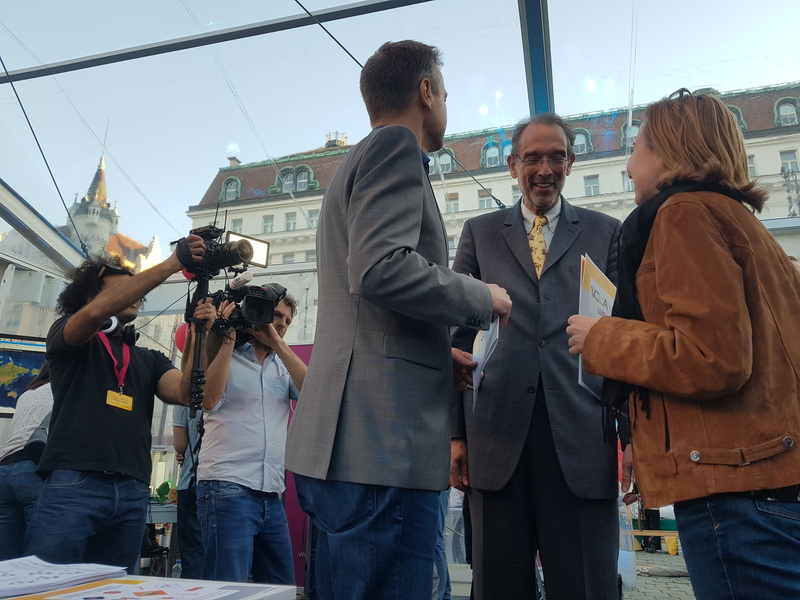 The video competition ,,Algorithms in 60 Seconds” has motivated almost 300 kids from primary and high schools across Austria in practice of computational thinking and digital media usage. The innovative character of the competition, to explain algorithms in a video not longer then 60 seconds is ,,the way informatics should be taught“, stated Uwe Egly, Faculty of Informatics. Download the handout in German here. Prof. Martin Nöllenburg and Prof. Stefan Szeider have pulled off an experiment with a dual track sorting network at the Kinderuni 2018. The experiment has adapted one of the CS Unplugged versions of the sorting network.